Founded in 1988, BP International, Inc. has emerged as one of the leading commercial brokerage firms in the Southern California, specializing in leasing, sales and management of premier commercial properties. BP International, Inc was awarded CoStar 2014 Power Broker Firm (Los Angeles County). We take pride in providing the highest level of expertise and personal attention to our customers. With over 30 years experience in the industry, BP International’s staff has successfully brokered more than 500 diverse commercial projects, with a current portfolio that includes more than 1.2 million square feet and some of Southern California’s premier shopping centers, offices, and industrial properties. Our broad experience has shown us that today’s marketplace requires a skillful and targeted approach. Whether buying, selling or leasing, you can rely on our sophisticated target marketing system, keen negotiation skills, inside access to qualified investors, and unparalleled cache of properties and broker contacts. Our professionals will find a property to match your vision, and guide you through even the most complicated real estate transaction with ease and care to ensure a successful closing. A one-stop shop, BP International also provides superior property management services to protect your investment, offering comprehensive monthly financial reports, documentations, tenant relations, maintenance and contracting services and much more. 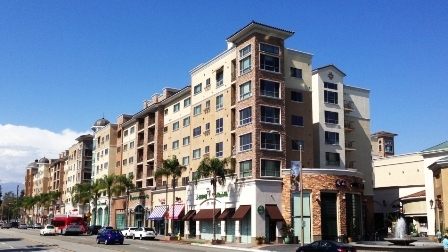 Our trademark service has led to a 100 percent retention rate and allowed our clients’ properties to flourish, including the vibrant Atlantic Times Square live-shop-dine project in Monterey Park, the Arcadia Hub Shopping Center and the bustling Puente Hills East retail hub adjacent to Puente Hills Mall, to name just a few. Our company continues to garner accolades not only from clients, but from throughout the industry. Trust your real estate needs and assets to BP International, Inc. Patsy Ma, MBA, CCIM, CRRP, CRX, CLS is president and founder of BP International, Inc., bringing to her clients a wealth of expertise and experience. With a Bachelor of Science (BS) degree from the University of Southern California and a Master of Business Administration (MBA) from Loyola Marymount University, Patsy developed her business savvy securing exclusive agency contracts from United States manufacturers and marketing their products in the Far East. Angela Wong recently joined BP International, Inc. Angela is a Certified Property Manager (CPM®) with the Institute of Real Estate Management (IREM) where she is an active member. She has over 20 years of retail and commercial property management and leasing expertise. Angela is successful because she understands the needs of her clients has great time management skills and the ability to multi-task while maintaining a high standard of performance. 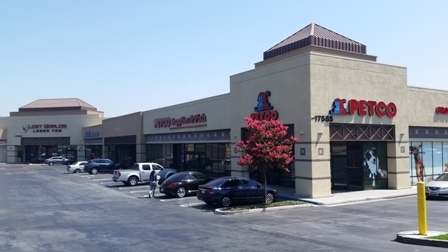 Betsy Lopez is vital in providing the high level of service that BP International, Inc. offers to owners and tenants. Betsy has outstanding organizational skills and is responsible for providing accounting and clerical support to the accounting department. Daisy Lopez' educational background in Psychology and case management experience equipped her with the interpersonal and organizational skills necessary to build strong relationships with clients and facilitate the dynamic operations of a leading commercial real estate firm. By providing quality customer care to the general public, marketing the real estate portfolio of clients, and researching property information, Daisy collaborates in fostering a productive and knowledgeable work environment in which her team and the company's partnerships can thrive. Justin Chan joined BP International, Inc. in November 2015. As the Lease Coordinator and Marketing Assistant, Justin is responsible for the marketing services we promise our clients, as well as the preparation of lease agreements, canvassing, and evaluating potential clients. Being a recent graduate, Justin uses his youth and enthusiasm to increase brand awareness and drive profitable results in one of LA County’s top firms. Top Leasing Firm in Los Angeles 2014.